Lake Effect's Gabrielle Powell with Nicole Dreiske, executive director of the International Children’s Media Center. The organization says children’s overall screen time has remained steady for years, at just over two hours a day, but more of its use is on handheld devices. 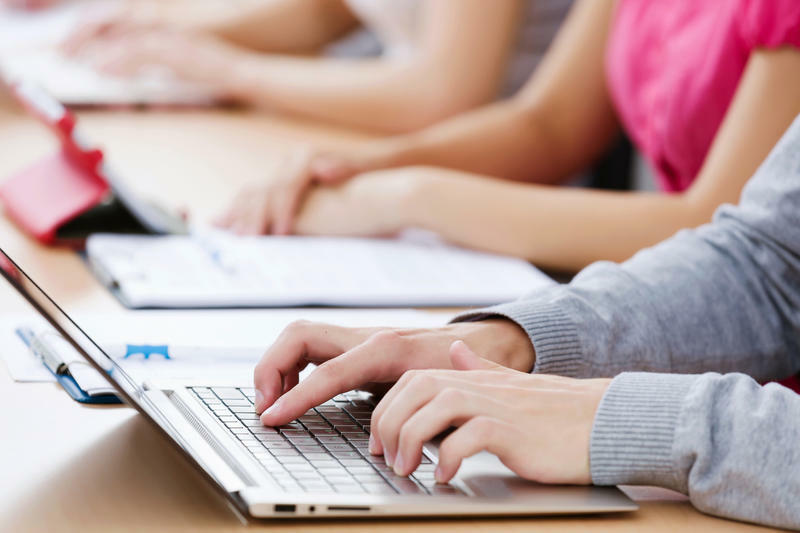 While there are studies that show trends with technology and children, there is yet to be any professional consensus on what amount of technology is good or detrimental for kids. "What does a great relationship with screens and technology look like? How do we want our kids to engage these really powerful devices? We're not powerless, we're not helpless. Let's help build a positive relationship with this technology," says Nicole Dreiske, executive director of the International Children’s Media Center. Her work involves creating approaches for integrating technology and media in 21st century classrooms. 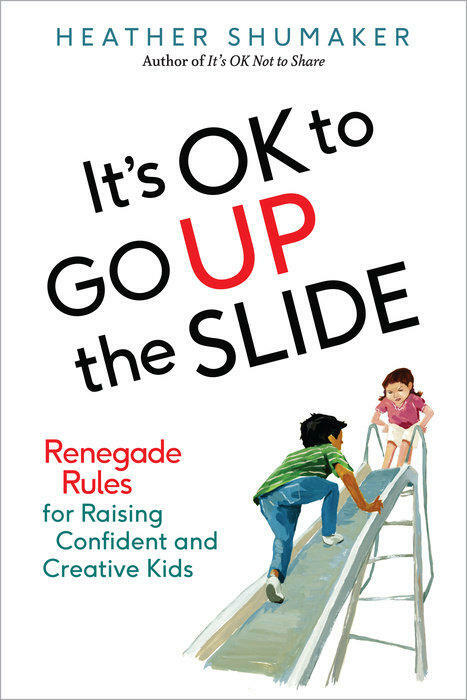 Dreiske believes it’s good that parents are involved in the equation, but hard limits, or just turning off devices, are not necessarily the answer to their concerns about their kids and screen time. "'Turn it off' is not a dialogue." "There's ... no discussion at all about what children are thinking and what they are feeling when they engage screens," she notes. Parents should check in with their kids, especially younger children, emotionally and intellectually while using screens. 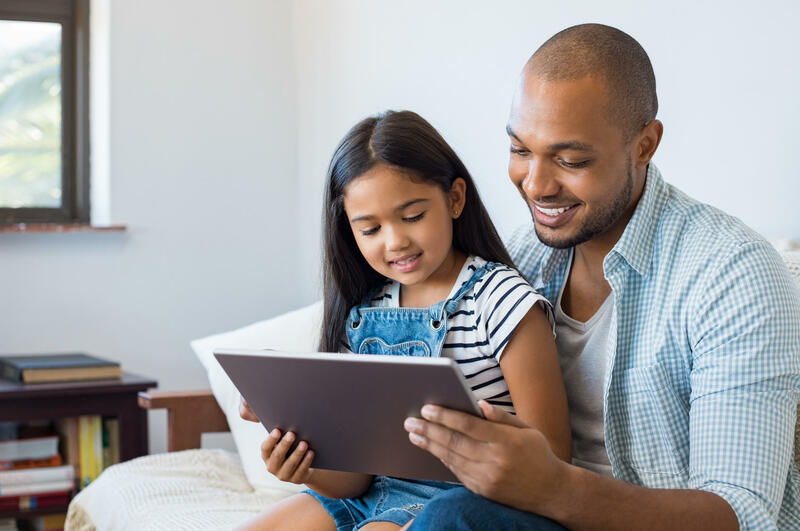 This not only helps parents use positive kids media to create a healthy relationship with technology, says Dreiske, but it can also be utilized to teach anything needed for kindergarten readiness. 1. 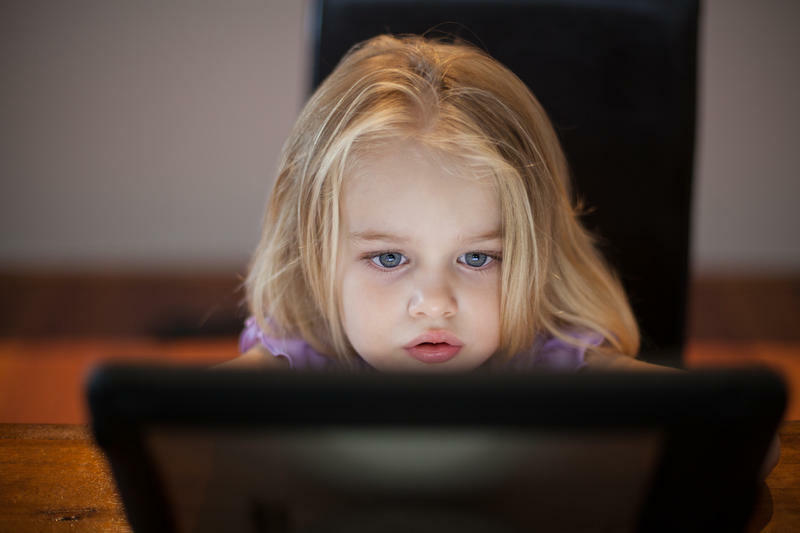 Stop segregating technology from the rest of positive childhood and family experiences: "That creates an unnatural vacuum around screen time so that it's separate...and sometimes that isolation can become toxic," Dreiske says. Solution? Start with screen talk: "Just talk during or after you watch a program or play a game or an app. You get such a great sense of who your kids are and what they might need from you," she says. Dreiske adds that children need more than structure or hearing the words, "turn it off," which can create an emotional tug of war. 2. Engage kids during screen time the same way you do when reading a book aloud to them: "That's the strength of the Screen Smart program ... what we learned is that kids want to talk about what they're experiencing ... But we never give them the chance to do that with screens because there's no place in our culture for them to do it — and that needs to change," she says. 3. Turn on the mind before turning on the screen: "Technology isn't bad, it's what we do with our minds while using the technology that counts," notes Dreiske. "What we're teaching kids is to be aware of how they're being affected, but you don’t do that by telling them they’re being affected. You do that by asking them how they think they’re being affected." 4. Create distance between you and the screen: Dreiske says, "One of the things that happens quite naturally when you're noticing with your child how they're being affected [by screens], is you notice how you're being affected." She notes having enough self-control is important so that you know what you should do when you are watching too much or when you are being affected negatively by your own screen use. "It's a huge shift, and it can come from families, it can come from children. It does not have to start in the schools," says Dreiske. In today’s technology-immersed world, how much technology is too much for a growing child? Outside of the computers and tablets they may use in school, much of a typical kid’s social or entertainment time these days might be of the electronic variety. Ask an elementary school student what his or her favorite part of school is, and there’s a decent chance that recess might be the answer. However as schools stress academics, the time reserved recess is increasingly the first to be taken away.